Commencing in 2004 the first two major offshore windfarm construction projects in U.K. waters were undertaken using The Port of Mostyn. Since that time, seven Irish Sea offshore windfarm projects have been undertaken from the Port namely: Burbo Bank in the River Mersey, Robin Rigg, located 98 nautical miles distant in the Solway Firth, and Walney 1 and Walney 2 off the Lancashire coast. Off the Welsh coast both the North Hoyle and Rhyl Flats projects were constructed from Mostyn. 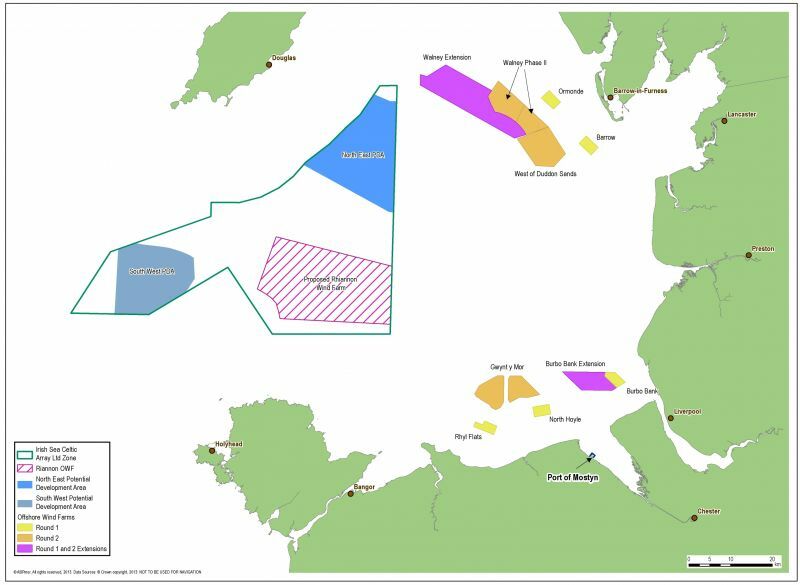 The seventh and largest project to be undertaken to date is the 160-turbine Gwynt-y-Mor windfarm located approximately 15 miles off the Welsh coast which is presently under construction. In addition to being a windfarm construction port, Mostyn is also the Operations and Maintenance (O & M) Base for RWE Npower’s North Hoyle, Rhyl Flats and Gwynt-y-Mor windfarms for the duration of their 25 years operational lifespan. Windfarm developers who have used Mostyn include RWE Npower and Dong Energy; the major contractors and turbine manufacturers such as Siemens Wind Power A/S and Vestas Wind Technology; and the major construction contractors Van Oord and MT Hojgaard A/S.